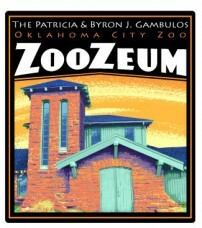 The Oklahoma City Zoo welcomes you to its unique Zoo history museum, The Patricia and Byron J. Gambulos ZooZeum. Do you remember Carmichael the Polar Bear, The Monkey Ship or Judy the Elephant? The stories of these iconic Zoo animals and attractions, plus a century’s worth of history, are yours to discover at the new ZooZeum. The only museum of its kind in the country, the new ZooZeum is a place where the public can come and experience the zoological and botanical memories that guests and staff have encountered at the Zoo for more than 100 years. Designed into the framework of a 1935 Works Projects Administration (WPA) building, the ZooZeum is located next to the Elephant Pavilion in the new Elephant Habitat. Originally built as a bathhouse, it has also served the Zoo as a train barn and storage for Haunt the Zoo for Halloween props in years past. The inside of the ZooZeum has undergone an extreme makeover. New tile floors and stained walls match the granite rockwork to create a comfortable atmosphere. Guests will encounter two galleries: the Main Gallery and the Train Gallery. In each, photo panels and display cases filled with artifacts tell the stories of the Zoo’s past and present. While in the Main Gallery, you will learn how the Zoo began in 1902, learn about favorite animals, such as Judy the Elephant, and get a glimpse of popular exhibits and events from the past and present. This gallery also features ever-changing displays, so visit often. The Train Gallery includes the story of the building itself, as well as a model of a zoo train engine. Trinket cases feature smaller collections of memorabilia that visitors might remember from their Zoo visits. “With over 100 years of stories to tell, these first displays barely scratch the surface. For this reason, we plan to change exhibits frequently, and guests are encouraged to visit often,” said Amy Stephens, naturalist instructor supervisor and ZooZeum project manager. In 2011, the 76-year-old building was opened to house the Zoo’s historical archive and two museum galleries. The purpose of the ZooZeum is for visitors to not only discover the Zoo’s history but also reconnect with their own Zoo memories. The Oklahoma community and out-of-state visitors have enjoyed the Zoo’s beautiful gardens and animal habitats since 1902. Young or old, the ZooZeum will now be a place to relive favorite Zoo memories. The Oklahoma City Zoo is open from 9 a.m. to 4:30 p.m. daily and is closed only on Christmas and New Year's days. 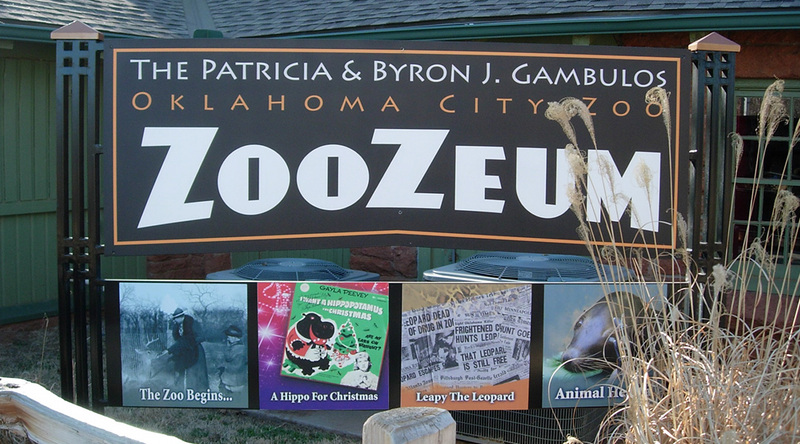 ZooZeum hours vary by season - please contact Guest Relations at (405) 424-3344 ext. 0 to request a schedule. The ZooZeum is free with Zoo admission. Be a part of history! If you have photographs, memorabilia, home videos or a special story to tell about the Zoo, please contact the ZooZeum staff to make an appointment at (405) 425-0250.